I fixed the 2 known bugs regarding the CSV extractor. Please let me know if you see anything inconsistant with it. I have yet to document how to use it, but for thos who didn't figured out yet, you have to get the raw "Meta_GetPolar" WebSocket response from VR server. I also added a little readout display of what has been read from the raw input. Each time I click the 'Read Input' button, the following message "EvalError: Unexpected empty input" is displayed in the bottom screen, and I never get a chance to select the sails and option. What do I do wrong? You have to provide the raw polars in the upper textarea, like you can see on the screenshot above. 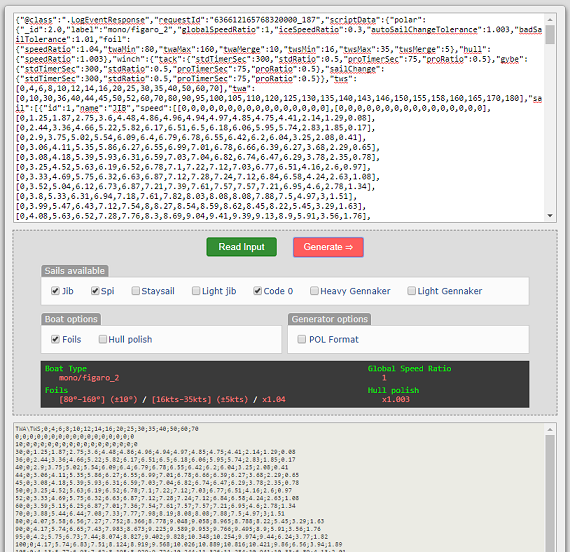 I will provide soon how you can retrieve such data if you don't know yet, and how to fully exploit this CSV Generator. However, I would recommend you to use the VR Dashboard if you don't already (http://zezo.org/forum.pl?tid=6346). Thanks, your response makes your initial post much clearer. I use already the VR Dashboard, but I don't know how to retrieve the raw polar data from the VR server. I would much appreciate if you could explain how to do that. If you already use the VR Dashboard, then you probably noticed the "RAW LOG" tab below the upper table. There, you must ensure that "Log messages" is checked. Meanwhile in the game interface, stay in the Lobby until the dashboard is ready to log messages (you can "Clear Logs" at that moment). 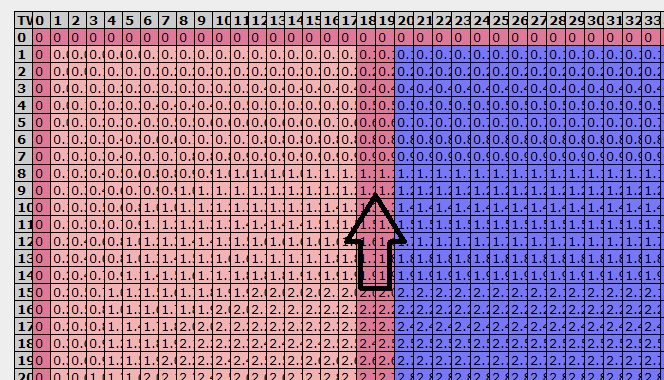 Then click on a race you want to get the raw polar data. Switch back to the Dashboard and you should soon see a request for "Meta_GetPolar". Get the corresponding requestId, and search for any response with that same requestId (it should be right after/below, but not always). Once you found the response, copy its entiere line (on Windows, a triple-click anywhere on the line should select it all), and paste it in the CSV Generator input field. Make sure to remove the prepending "<<<" before clicking the "Read Input" button, or you will get a "SyntaxError: Unexpected token < in JSON at position 0"
A CSV file is a text file with a specific format inside. I could not copy / paste the data because I had opened the generator in Firefox, and for some reasons, the output data cannot be selected in this browser. It works perfectly in Chrome. Thanks again for the tool and the explanations ! * Output is now automatically generated as soon as options/sails are checked/unchecked. 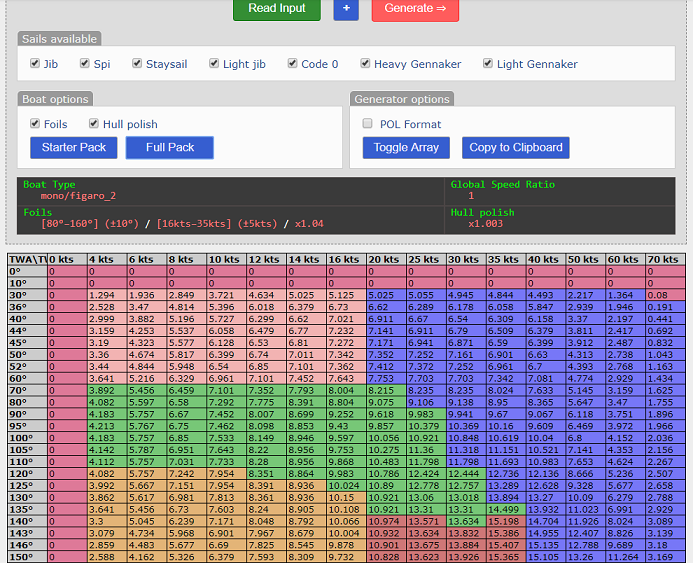 * A new display as been added to be able to visualize the output as an array directly. This polar generator is just perfect ! so where do you guys put these polars in? Zezo loads them as well. Are there other/better routers? The great interest of having these polar and Cvetan's gribs is to be able to compare different routes. It will soon be possible to export the zezo routing in gpx format (I have css concerns on the zezo.org road extension) but once set all that will make sense. 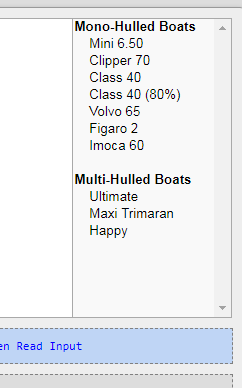 You could implement a background color for each sail? It would be interesting to visualize (numerically) in the output array. Have you seen the M63's mail about the sailing rigging (LJ / C0 / LG) on TWA 65 and 115, TWS 17 to 19? CSV is a format which does not support styling (unlike an XLS file for example). It's basically an array of raw number, but we cannot add colors to it. Regarding the output array, well, I could update it somehow (currently, I only compare the values, and keep the bigger ones, regardless which sail it's taken from), but would it really be useful, as the copied CSV output will loose the coloring information ? Would you have a solution just to have it visually on the generator? The digital reading (colored) allows to quickly get an idea. I come back on this story of forced sails (TWA and TWS cited above) that put forward M63, as you could see? * Informational messages moved to their proper display box. I also added a button to be able to fold/unfold the input field. Sails colors have been added to the CSV rendering array, so we can easily spot the best sails. (Thanks to GeGaX for this suggestion). Quite a big change with this new update. As some sailors observed and notified me by email), the consolidation was lacking precision if I was only combining the best speeds between the sails selected. The actual issue with combining many sails into a single CSV, but with keeping the actual TWA and TWS scales provided by VR was inducing missing information in the shadowed zones (where TWA/TWS where not provided per se). 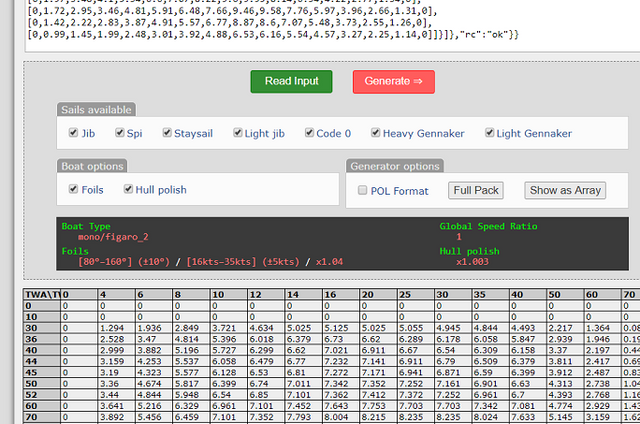 I then added a new option to the CSV Generator so it can now provide a full array of values. Currently, you cannot choose the steps, so when checking the "Interpolated" Generator Option, steps of 1° and 1 knot will be taken. 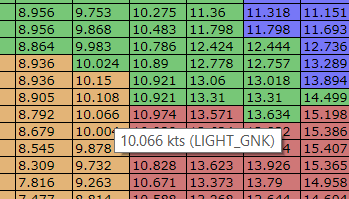 You see that zone where VR does NOT provide data for a wind of 18kts. We only see that the Light Jib (pink) is used at 16kts and a tight angle to the wind, and the Staysail (blue) is used at 20kts. Once again, thanks to GeGaX for his detailed remarks, and thanks to M63 for spotting that issue.